Twitter feeds are a supplemental service provided by NWS to extend the reach of NWS information. Twitter feeds and tweets do not always reflect the most current information for forecasts, watches, and warnings. For the most current official info, visit: https://www.weather.gov/. The National Weather Service (NWS) provides weather, hydrologic, and climate forecasts and warnings for the United States, its territories, adjacent waters and ocean areas, for the protection of life and property and the enhancement of the national economy. NWS data and products form a national information database and infrastructure which can be used by other governmental agencies, the private sector, the public, and the global community. NWS will be using Twitter as a supplemental channel to disseminate environmental information and promote weather awareness activities including outreach and educational efforts. For more detailed information on this service, see https://products.weather.gov/PDD/twitter_sdd_opl_2014.pdf. Microblogging services offer another platform to distribute/contribute critical warning and impact information rapidly while also allowing NWS partners to contribute to what is being microblogged. A presence on Twitter offers a powerful tool to help disseminate lifesaving information; increase the public’s understanding of weather, water, and climate; and increase the public’s ability to take action. The amount and content of information provided may change. The frequency of updates posted to this feed may vary and is not guaranteed. Followers should not rely on this service as the primary means of receiving alerts/warnings of hazardous weather. NWS alerts/warnings are available on NOAA Weather Radio and our official website: https://www.weather.gov. Responses to tweets are made on a time-available basis and may be extremely limited during periods of severe weather. The National Weather Service (NWS) is using Twitter as a supplemental channel for improving weather awareness. Postings to this page highlight activities of interest and importance to both the weather community and the public, and include NWS meetings, constituent and partner engagement activities, and public education efforts. Questions or comments about local forecasts or local advisories/watches/warnings need to be submitted to the issuing local Weather Forecast Offices. The local Weather Forecast Offices are listed at: https://www.weather.gov/organization. 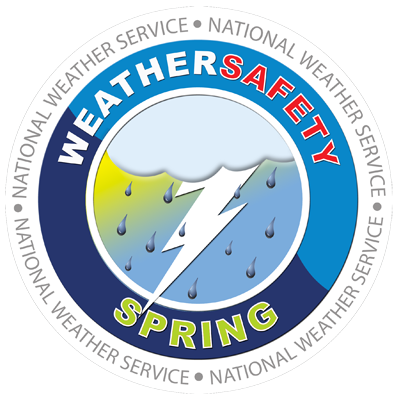 There is no endorsement, implied or otherwise, by the NWS of any fan posts, links, or photos. Writers/fans are fully responsible for the content they submit. contains information that violates a local, state, or national law.